We are a motorcycle safety and public awareness campaign. No matter how long you've been riding, we have information and tips you can use. MotorEagles® is an ongoing motorcycle safety and public awareness campaign, sponsored by the motorcycle accident lawyers at Elk & Elk Co. Ltd. Whether you’re seeking tips for riding in a group or information about appropriate protective gear, you can count on MotorEagles to help you find the answers you are looking for. MotorEagles’ mission is to promote motorcycle safety on the road by educating both motorcyclists and other motorists about how to safely co-exist. 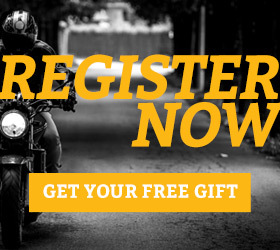 Take advantage of all the motorcycle safety resources you can find on our site. Whether you are a brand new rider or you’ve been riding for 20 years, we have information and tips you can use. MotorEagles strives to provide content for new riders, as well as more seasoned riders. Why are we so concerned about motorcycle safety? 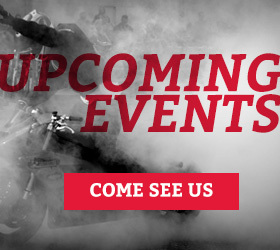 We enjoy riding as much as you do, and we are committed to motorcycle safety. That’s why, no matter why you’re here, we’re dedicated to providing you with the tools you need.